I have been struggling with my weight for as long as I can remember. My highest weight was the year I got married and I weight right over 300 pounds. My husband and family has always been very supportive of my weight and tell me how beautiful I am not matter what I weigh. However, the issue was to be beautiful but to be healthy. I went on a diet in 2010 and was able to lose about 85 pounds with help from my doctor and a drug called Phentermine. I got down to approximately 200 pounds but very quickly started putting the weight back on. In July 2016 I started looking into the surgery and what it would take to get it done because I had gotten back up to 279 and was still gaining. I did lots of research and found Belite Weightloss. My advisor was with me every step of the way and within a few weeks I was scheduled for surgery. I live very close to Juarez, Mexico so it was nice to be able to just drive over with a friend and get everything taken care of. The hospital I stayed in was nice and the staff were all very helpful. I had no complications from my surgery and just followed instructions that were given to me exactly the way I was supposed to. I lived on sugarfree popsicles for a few months. It has been a little over a year and I am currently down to 195 pounds. I am about 10 pounds shy of my goal weight. I am attaching a picture but getting healthy for me came with other bad news. 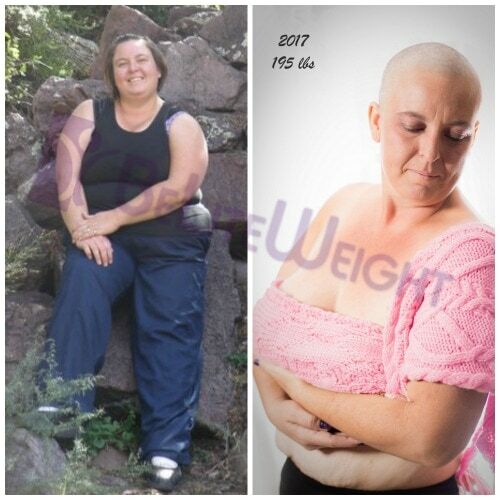 Apparently my weight had been hiding a tumor in my breast so a year after surgery I was diagnosed with Stage 4 Breast Cancer. I have been on treatment since August of this year and I am currently without hair. I am glad I chose to do the surgery because who knows when I would have noticed the tumor otherwise.